From time to time it becomes necessary to change or block a user from accessing either a specific property or the issue monitor. When this occurs the most typical question we get is, "How do I delete a user?" Because the data collected in the issue monitor by each user needs to be able to be accessed through various reports (in some cases even years later!) a user cannot be deleted as the collected data is specifically attached to the user that created it. A user can however be made "Inactive" by unchecking the Active User box. unchecking the Active User box will deactivate a user and no longer allow the assigned username and password to access your SilverTrac site, through the handheld or the web portal. To access the Active User box hover over the User tab, select Choose User, Click on the User and then click Select User and uncheck the Active User box and Click on "Save User Details". 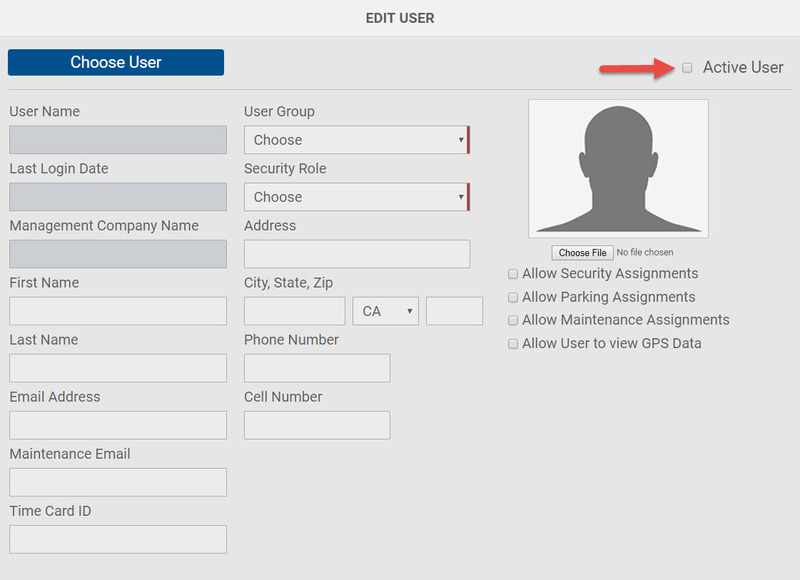 To Activate an Inactive User, hover over the User tab, select Choose User, Make sure the "Inactive" box is checked, then Click on the Inactive User and then click Select User and check the Active User box and Click on "Save User Details". The assigned username and password be now be allowed to access your SilverTrac site, through the handheld or the web portal.